Improve sales productivity, boost your win rates, and grow your revenue. Have questions? Email us or call (800) 671-8692 x101. Ok, lets see if you noticed – there is a brand new pricing structure for all our Solutions. 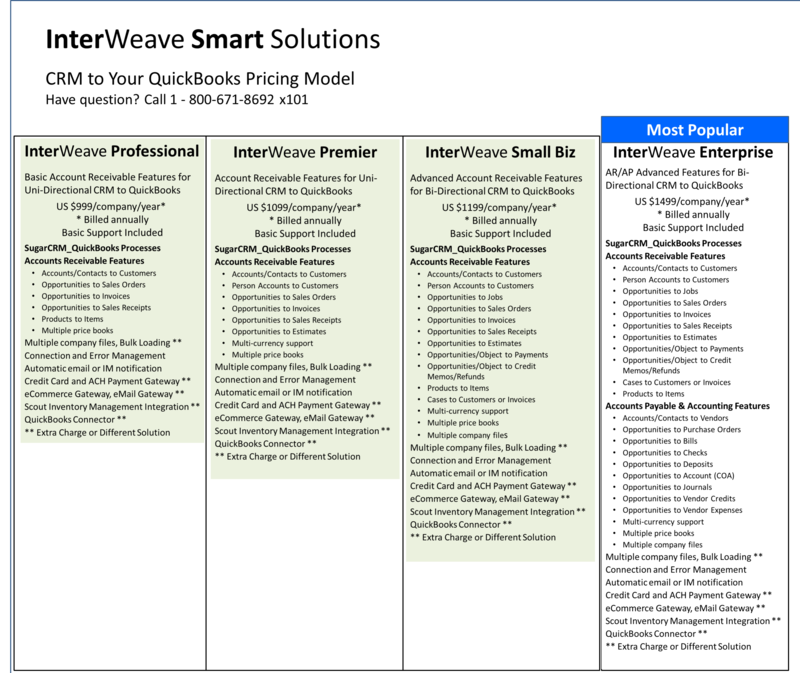 Check out what people are saying about InterWeave Smart Solutions. Jane Gyorgy, CFO, DeepVac, Inc.